Jailed dissident writer Yang Tongyan has passed away while on medical parole, according to Amnesty International and a friend of Yang’s family speaking to HKFP. Yang, who is also known by his pen name Yang Tianshui, was serving a 12-year prison sentence for “subversion of state power.” He is known for writings critical of the Chinese government, and was also jailed from 1990 to 2000 for criticising China’s response to the 1989 pro-democracy protests. 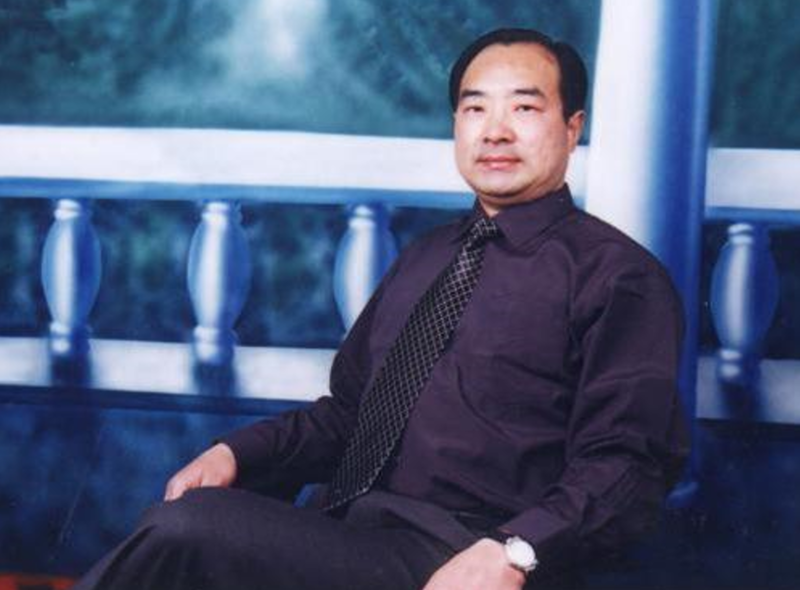 According to Amnesty, which cited close friends of Yang, the dissident passed away on Tuesday. Yang Tongyan. Photo: Twitter/Qi Zhiping. Xu Wanping, a veteran political activist who also participated in the 1989 movement and spent almost 20 years in prison, told HKFP that he received news of Yang’s death through a patchy phone call with Yang’s sister on Tuesday night. In a recording Xu shared with HKFP, he was heard asking her if Yang was still undergoing treatment in Shanghai. After repeatedly asking if she could hear him, a woman replied: “He’s gone,” her voice breaking. Xu said he guessed that the family was likely threatened, and unable to communicate with the outside world. HKFP’s calls to Yang’s sister’s phone met with messages saying that the number was out of service. Yang’s condition drew comparisons to dissident writer Liu Xiaobo, who died in July at a hospital under police custody after being diagnosed with terminal liver cancer in late May. But Yang’s case did not attract the same amount of international attention that the case of Liu, a Nobel Peace Prize laureate, did. 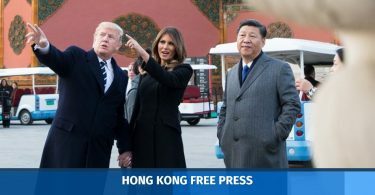 His family was notified by the Nanjing Prison in August that a tumour had been discovered in the 56-year-old’s brain and that his condition was serious, according to his sister at the time. He was granted medical parole and received surgery in August, but his friends said he and his family remained under surveillance. Yang’s family previously applied for medical parole in 2010 and 2012, as he suffered from various illnesses including tuberculosis, diabetes, and nephritis. He was due to be released at the end of this year. 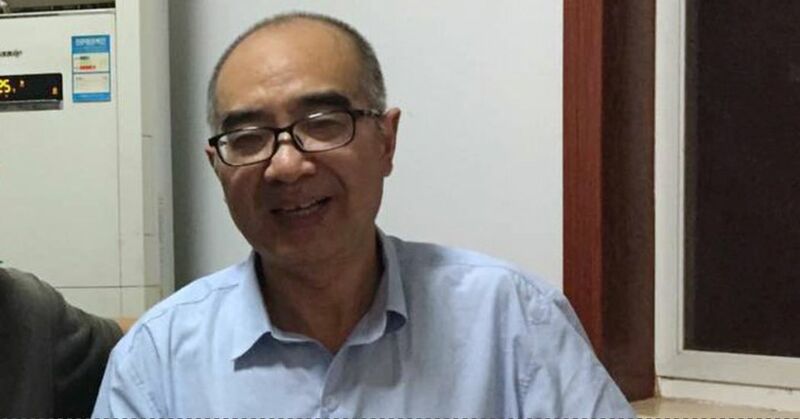 “It is absolutely tragic to learn of the passing of Yang Tianshui, a prisoner of conscience who was imprisoned for nothing more than his political writings,” William Nee, China researcher at Amnesty International, told HKFP. Along with Liu and Yang, Xu mentioned the case of activist Peng Ming, who suddenly died in November while serving a life sentence. 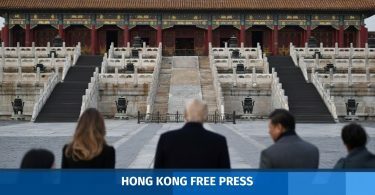 He called on the Chinese authorities to “respect the basic human rights of jailed political prisoners” and improve their conditions in prison. Hongkongers march in memory of Liu Xiaobo. File photo: In-Media. 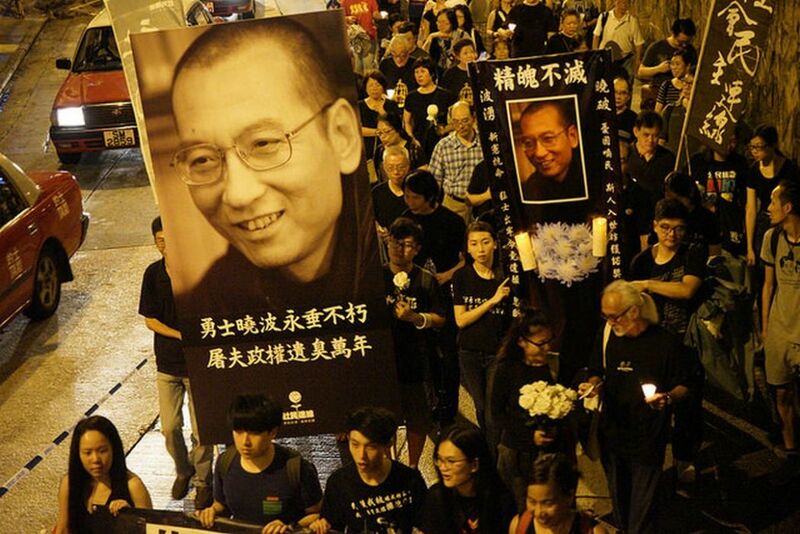 “Yang Tongyan’s death, so soon after that of Liu Xiaobo, is another black mark on the Chinese authorities’ human rights record,” said Karin Karlekar, PEN America’s Director of Free Expression at Risk Programs. In 2008, Yang was awarded PEN America’s Barbara Goldsmith Freedom to Write Award, which honours literary figures who have been persecuted or imprisoned for exercising or defending the right to freedom of expression.